Pre-order the sensational Sony Xperia XZ Premium through MTN from 21 June to 05 July 2017. The Sony Xperia XZ Premium voted the Best New Smartphone at MWC. 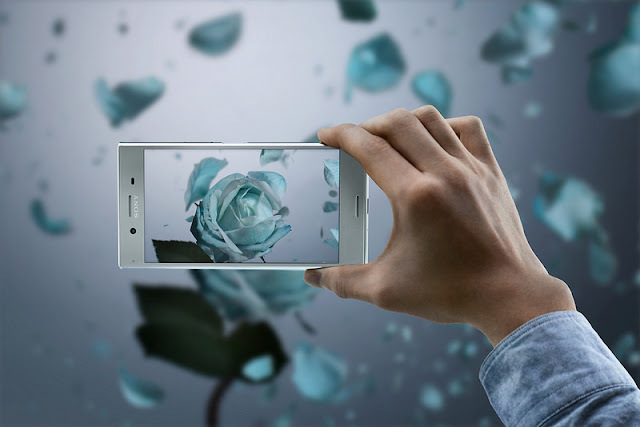 Boasting the world’s first super slow motion video in a smartphone, the Xperia XZ Premium offers a 960 fps (frames per second) capture, which can be played back four times slower than any other smartphone. The first 100 customers that are credit vetted and pre-order the Sony Xperia XZ Premium, from MTN’s pre-order facility http://bit.ly/1MCGW6y, will get a FREE Xperia Ear personal assistant valued at R 2499. The Sony Xperia Ear is a device that helps you manage your day, through voice commands messaging technology, calendar features to check your schedule, search functionality, navigation and more. All without picking up your phone. With additional key features such as the beautiful 4K HDR 5.5” display, 19MP high resolution, the XZ Premium captures motion that the human eye can’t see. Predictive Capture is included to ensure you always stay one step ahead and automatically started buffering images when it detects motion even before you press the button. Taking intelligence to the next level, making it one of the first smartphones capable of Gigabit Class LTE, the Xperia XZ Premium is powered by the Qualcomm® Snapdragon™ 835 platform. This feature ensures super-fast 1Gbps download speeds to get 4K movies in your hands in seconds, stunning graphics, superior performance and enhanced battery efficiency. On Tuesday, 6 June 2017, MasterChef South Africa’s inaugural winner, Deena Naidoo, opened the doors to yet another established eatery under the “Aarya” banner at the West Rand’s number one entertainment destination, Silverstar Casino. 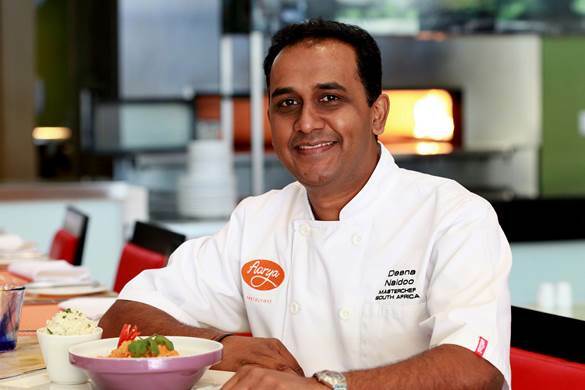 Aarya’s menu epitomises our colourful South African nation. It brings people from diverse cultures and backgrounds together through tasty and innovative food. Speciality dishes include Durban Curry, Bunny Chow and Chef Deena’s signature dish – Butter Chicken. Chef Deena is ready to welcome guests to a one-of-a-kind culinary experience at Silverstar’s Aarya. “Silverstar Casino prides itself in constantly improving its offering to its valued patrons. Aarya boasts a contemporary, fresh and lively feel, not forgetting extraordinary service. The menu includes an array of delightful food and drinks, and we cannot for our esteemed guests to come and experience all the culinary tricks Chef Deena has up his sleeve,” says Sanele Ntombela, Marketing Manager at Silverstar Casino. 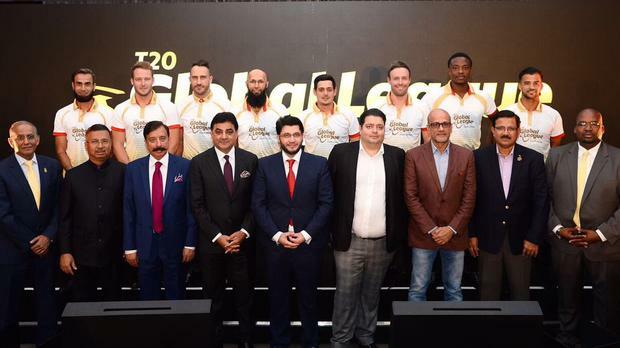 After an exciting build-up, Cricket South Africa (CSA) announced on Monday afternoon, the successful eight T20 Global League team owners. In attendance at the reveal at the prestigious London hotel, The Bvlgari, was one of only two South African based team owners, Osman Osman, MD of leisure lifestyle brand, Blu Blood and now the owner of the Pretoria T20 Global League franchise. “Going through this process, you needed to have the appetite for it. This is a huge achievement for us. With our core business being entertainment, this is the next step into the sporting sphere that we wanted to achieve excellence in. But more than being a diversification for our company brand, this is a huge opportunity for South Africa, in terms of the exposure that we are going to be getting globally from a tournament of this magnitude. The influx of tourists and highlighting the magnificence of South Africa, it is something that every South African can be proud of and benefit from,” comments Osman Osman. The South African marquee player representing the Pretoria franchise is the legendary ODI Protea Captain, AB de Villiers. “This is a city close to my heart. It is the best city in the country, and by far the most beautiful. These are exciting times, and I am looking forward to this tournament. There is a lot of local talent coming through and getting the overseas players involved, it is great for cricket – and for the economy – of our country,” adds AB de Villiers. The player selection is scheduled for 19 August, with almost 400 players from 10 countries confirming their interest. Local and international cricket fans can expect an exciting season of cricket, with the tournament set to take place in South Africa in November of this year. Shahrukh Khan, Indian Bollywood King Khan also owns one of the team in this new franchise league. Following the success of the first Bavarian Chrismtas in July Festival, Silverstar is bringing you another instalment of this winter spectacle. From Friday, 30 June to Sunday, 02 July, The Globe will be transformed into a typical Bavarian town square over the Christmas season, complete with a traditional Oompah band. Warm up to mouth-watering foods, a comprehensive collection of cold beverages and great family entertainment. “The festival at Silverstar will resemble a Christmas experience synonymous with many Western European countries, marked by the distinct sound of the tuba and trombone from the Oompah band,” notes Sanele Ntombela, Marketing Manager at Silverstar. The line-up will also include great South African bands who will be bringing local flavour to the Christmas in July festivities. The Dixie Hillbillies, a local folk-rock band, as well as one of the hottest Afrikaans-punk bands in the country, Beeskraal, will be providing great entertainment at the festival. While the magnificent music line-up entices visitors to dance to the festive sounds, the food will tantalise taste buds. Various food stalls with the best selection of Bavarian delicacies will be available. Feast on quality food such as eisbein, bratwurst, roasted chestnut, cheese pastries, home-made jams, freshly-made pancakes and breads. What is a Bavarian festival without a cold beverage selection? An array of beers, ciders and gins will be on offer, and it goes without saying that a range of winter-warming Schnapps will also be available. For those who prefer a hot drink, you can indulge in some gluhwein and rich hot chocolate laced with rum. The kids can enjoy a ride on the carousel, while other members of the family sample delicious offerings from the various exhibitors at the village market. Town square vendors will be offering various interesting gift selections as well as candle making and glass blowing workshops. Roaming buskers will add to the fun-fare at the square, as they entertain and interact with the townsfolk. “We anticipate another successful Bavarian Christmas at Silverstar, and have made sure that every element of the festival is as authentic as possible, giving our visitors a great escape into another world, right in their own backyard. It is going to be an unforgettable winter experience,” concludes Ntombela. The Bavarian Christmas in July festival will start on Friday, 30 June and run until Sunday, 02 July 2017. Tickets are on sale at R50 per person and are available at www.silverstarcasino.co.za. Smart aesthetics – Until recently, technology could hardly have been considered aesthetically pleasing. Devices and appliances bristled with functionality and capability within square shapes and unnerving bristles. Form was evaded in favour of functionality. The white goods and cooking accessories as bland in style as they were rich with innovation. Today, however, design is as vital to the success of an appliance as its features. The ability to slip seamlessly into an environment, adding aesthetic value rather than taking it away, is as important a box to tick as power, functionality and warranty. For the consumer, this trend has opened up an entirely new world of kitchen and home design. The dream kitchen doesn’t have to hide the hob or the fridge, it can showcase it. The flair of personality and style can be found in the tiles and countertops, and in the appliances that surround them. This is no new trend, of course, the shift from functional apparatus to home accessory started as early as the 1950s, when designers were engaged by manufacturers to help them reimagine tedious blocky shapes. Well-known names such as Gino Valle, Pietro Geranzani and Makio Hasuike added softness, style and ingenuity, igniting a trend that continues to this day. One upheld by designers such as Gerhard Nussler, Siemen’s Chief Designer who believes that design is as much a part of the language of progress as technology. 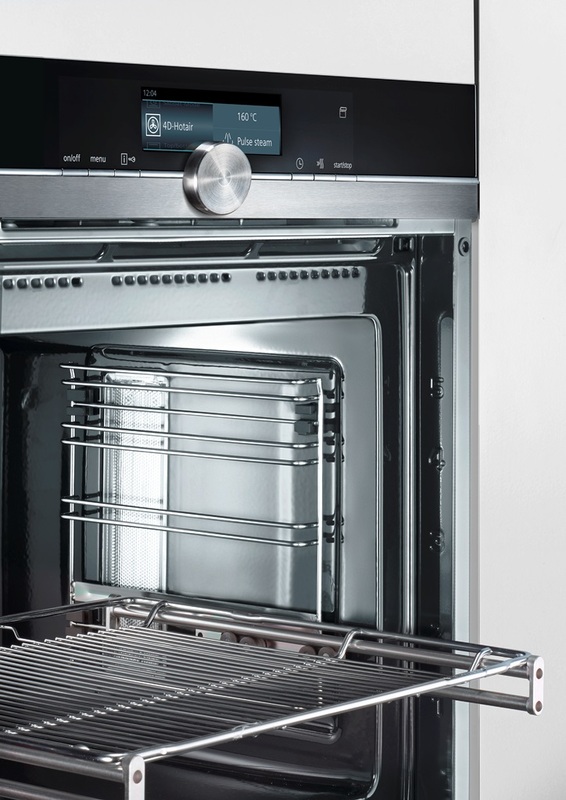 Manufacturers such as Siemens, a market leader in Europe for design and style, are now recognised internationally through awards such as the IDA Awards, Siemens Home Appliances Design Awards and the iF Design Awards. Siemens has snared its fair share of awards thanks to design that blends the art of engineering with inspiration, environment and potential. One of these was the coveted reddot award in 2016 for the built-in iQ 700 appliance series. The jury found the design to be distinctive and homogenous, seamlessly blending into the environment while adding distinctive elements that stand out and engage. To achieve this level of design excellence, the company asks the question – what happens when technology meets everyday life and how can it transform its potential? The answer is that design is the language of modern urban living. It also lies in the evolution of two very specific consumer trends – work from home and open spaces. The change from the commuting employee to the anywhere-anytime employee who can choose their workspace dependent on mood and relevance has further pushed design into the eye of the beholder – the consumer wants solutions that they can admire and appreciate. They need the aesthetic of design to enhance the home and the spaces they live in. The same desire is driven by open plan living, a lifestyle choice in design and home that shows no sign of abating. However, design is only one part of the whole. The technology and functionality that sit behind the façade are as important to the success of a solution, a fact that Siemens hasn’t ignored. The company’s awards don’t just sit in design, they sit across engineering, innovation and technology. This has seen the company create interesting hybrids that take the old and make it new, like the new gas cooker range that blends gas with electricity to create something unique. Some users prefer gas, some electricity, most want clean and green – why not have it all in one? Simple question, answered. In addition to interesting twists on common themes, Siemens has introduced smart features that tie into the rise of the smart home. Connected capability that can be used to enhance the home experience. The Siemens Home Connect App lets the app choose the best washing programme, lets the user look inside the fridge from the highway, the office or the shops, and even preheat the oven before leaving the office. All Siemens home appliances can be connected using the app and any mobile device, transforming not only what the consumer can do, but how they do it. Many of the appliances include automatic programmes that can be activated at the tap of a button – like the automatic cooking programmes that will deliver perfect results with minimal hassle. The kitchen of tomorrow is today. It’s elegant, refined and artfully designed. It’s also functional and capable. It’s cookers, microwaves, hobs, ovens, dishwashers, washing machines, fridges, coolers and dryers. It’s aesthetic genius. For more information about how Siemens can help you to bring recipes to life through innovation and technology, feel free to visit their website; https://www.siemens.com/za/en/home.html. 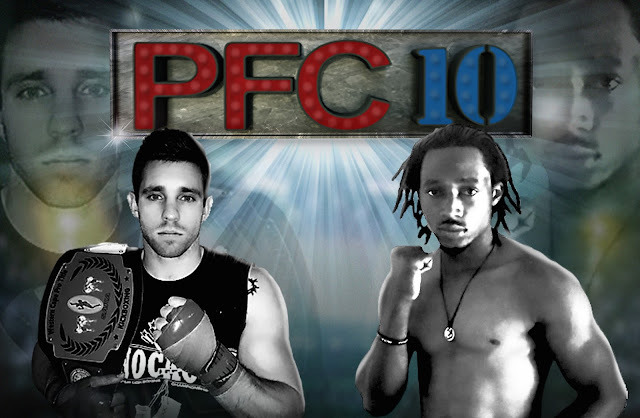 Cape Town combat sports series, PFC 10 Fight Night, returns with a banging fight card that will see some of the Western Cape’s top fighters, representing their fight clubs, go to battle against fighters from Gauteng as well as the Democratic Republic of the Congo (DRC). The much anticipated event takes place at Sun Exhibits, GrandWest on 24 June 2017. South Africa's most dominant K1 fighter Adrian Van Wyk fights for his country when he goes up against the DRCs most dominant athlete, Mafils Ikuka. History will also be made as Dirk Kroon of Tricore takes on Justin Smith of Mad Fit for the ultimate prize, the welterweight strap. Smith comes down a weight division as he gets his shot at the strap but the powerful Kroon has promised his fans he will walk away the champion. One of the most dominant K1 fighters, Emile Brits of Tricore also has his shot at gold when he fights for the South African title in a five round war. Standing in his way is XKT Johannesburg’s Tommy Strydom who is looking for revenge and has threatened that he will be taking that belt to Johannesburg. Another highlight of PFC 10 Fight Night at GrandWest is the matchup between Chester Kruger from Tricore and Western Cape Champion fighter Wade Hammond representing Madfit. Also Stefan Gelderblom from Tricore and South African champion fighter Ashley Ash, representing Pinelands Fight Club. Other fighters in the mix are Ewald Botha of Invictus, Alex Diadora from Redemption, Austin Clayton representing Silverback, Jade Mitchell of Viper MMA Academy, Tristan Emery from AMA Fighting Academy, Ryan Cockeran of Tricore, Jonathan Mutanda of Pinelands Fight Club, Shaun West of Thaiholics, Austin Lee of Pinelands Fight Club, Darren Dias of Monkon amongst many more. “The staging of kickboxing and mixed martial arts events aligns with our strategy to provide diverse and exciting entertainment for our guests and community. We look forward to hosting this combat sports series at GrandWest,” says Elouise Matthys, the PR and Promotions Manager at GrandWest. Tickets are R500 for VIP, R300 for ringside and R200 for general. Tickets should be pre booked at Computicket to avoid disappointment. Like GrandWest on Facebook GrandWestCasinoAndEntertainmentWorld and follow on Twitter @GrandWestSA. June 2016 was the time when I was busy every weekend seeing some of the great places every weekend with my parents and family. We travelled far till Clarens to Pretoria to Walter Sisulu to Emperor's Palace to Soweto to Fordsburg. I have still not shared the images taken from those times but be rest assured the same will come live on my Instagram channel soon. 1. A Memoir - This Month Last Year - June 2015 www.thelifesway.com #TheLifesWay - http://www.thelifesway.com/2016/06/a-memoir-this-month-last-year-june-2015.html - Keep connecting the dots and you will understand how amazing are the wonders of life. I am grateful to the Almighty Lord for granting me more than I deserve and keep giving me new dreams to fulfill using the skills I have. Thanks once again! 2. A #Brand in Feature - @HuaweiZA #Huawei #SouthAfrica #TheLifesWay - http://www.thelifesway.com/2016/06/a-brand-in-feature-huaweiza-huawei.html - I spent some long hours to write this piece of articles based on my experiences with the brand. I think they took it seriously and removed all the great gifts from the goodies bag they used to give in their smartphone launches. But I am still working towards and following up on getting a Leica dual lens smartphone sponsored from the brand but still no luck is on my side. 3. A #Brand in Feature - @SamsungSA #Samsung #SouthAfrica #TheLifesWay - http://www.thelifesway.com/2016/06/a-brand-in-feature-samsungsa-samsung.html - I have been the consistent supporter of the brand for free and have used my social media channels to extensively aware everyone about the products and services of Samsung. This year I was not invited to the launch of S8 and because of the same I didn't get the Galaxy S8 smartphone which was given to invitees to keep and use. Such a bad luck for not getting invited and loving the brand I felt for the first time. Anyway, it took me some time to write this article last year and it's a nice memorial article to the brand. 4. Product Review - BeoPlay H7 @BangOlufsenSA #BeoPlaySA #TheLifesWay - http://www.thelifesway.com/2016/06/product-review-beoplay-h7-bangolufsensa.html - Bang and Olufsen really creates an audiophile's dream world with their niche products but the only problem is the price tag they have on those products. To me that problem was not an issue as I could use the review device for some time and then return the same thinking that one day it will come back in my life but it doesn't happen in real world. 5. 3SIXTY Launches New Menu @MontecasinoZA #3SixtyNewMenu @TsogoSun - http://www.thelifesway.com/2016/06/3sixty-launches-new-menu-montecasinoza.html - Montecasino has been my consistent supporter through thick and thin and I have also promoted all their brands from time to time. They might not call me to all the events because of the long list of influencers they have but I have covered their all activities on my social media channels. Thanks to the PR company and the brand for inviting me. 6. 13 Ways To Help You #Snap Like A #PRO @LGMobileSA #LGPlayMore - http://www.thelifesway.com/2016/06/13-ways-to-help-you-snap-like-pro.html - As I told you earlier also the camera on LG G5 is awesome and I really admired the device a lot. But on a different thought, my blog is covered with so many LG Electronics posts in May and June and today I came to know that they have blocked me on twitter is really sad. I am unable to digest this information but read the article, you might discover and learn something new. Do not blindly trust anyone and always ask for the benefits it will bring for all the associations you partake with all the brands. It's always best to set the expectations right from the start as you both go out winning and content. With my 1200th post, I vow that I will raise this question to all the brands with whom I am working currently and in future as to what benefits it holds for me and them? Dates of all kinds are on the cards this winter, thanks to Montecasino’s Night Out for Two promotion, taking place until 31 August at Gauteng’s premier entertainment destination. For only R300, you and your Plus One can enjoy a delicious dinner and dessert at your choice of three of Montecasino’s most popular restaurants, plus drinks for two, and two tickets to a movie or a game of 10-pin bowling. With Montecasino’s ‘Night Out for Two’ promotion the only thing you’ll need to decide is who to take with you. “Our Night Out for Two promotion delivers more of what you’ve come to expect from Montecasino at almost half the price – fabulous food and drinks, coupled with fun experiences. Whether you’re planning a romantic night out, a night on the town with your BFF, or a father/son, mother/daughter outing, this is an experience you can’t afford to miss – especially at such an affordable price,” explains Glenn Joseph, GM of Montecasino. He adds, “Our chefs at Donatella’s Italian, Seafood, & Grillhouse restaurant; Beira Alta Portuguese Restaurant; and the vibey 3SIXTY Liquid Lounge have all sharpened their pencils to come up with a selection of menus to suit every palate.” Various options for two main meals and a dessert include chicken schnitzel, various delicious pasta dishes, pizza, trinchado, grilled chicken, burger, or sushi, topped off with Italian kisses, homemade ice-cream nut cake with chocolate sauce, or gourmet milkshakes. Drinks for two at the new Milk & Honey Bar include Pineapple Bellini topped with prosecco, or Pineapple Bellini topped with Appletiser, or homemade white hot chocolate, or two drinks of house wine, beer, or soft drinks on the casino floor. For added entertainment, the promotion includes two tickets to a movie at Movies@Montecasino, or for 10-pin bowling at The Magic Company. To take advantage of this saving of R240, purchase your voucher booklet at the Montecasino Box Office or the Grand Staircase Entrance until 31 August 2017. Booklets are valid for redemption seven days a week until 30 September. For more information go to www.montecasino.co.za, join on Facebook at www.facebook.com/montecasino or follow on Twitter at @MontecasinoZA. With romance, family drama, devotion, re-incarnation and pumping dance moves, Bollywood fans are in for a treat in June. Three highly-anticipated movies are releasing on the big screen at select Ster-Kinekor cinemas this month and it promises to be a feast for the eyes. First up is romantic thriller Raabta. It tells the story of a couple who are deeply in love with a strong, unexplained connection. They seem set for a fairytale life when a lover from a previous lifetime returns. Following that is Tubelight, a family drama that tells of a man's unshakable faith in himself and his love for his family. Lastly is the romantic drama, Heartbeats, in which a female American hip hop dancer travels with her family to India and falls in love with a young man and a new style of dance. Produced in the US, the film has global appeal, with a Bollywood twist. 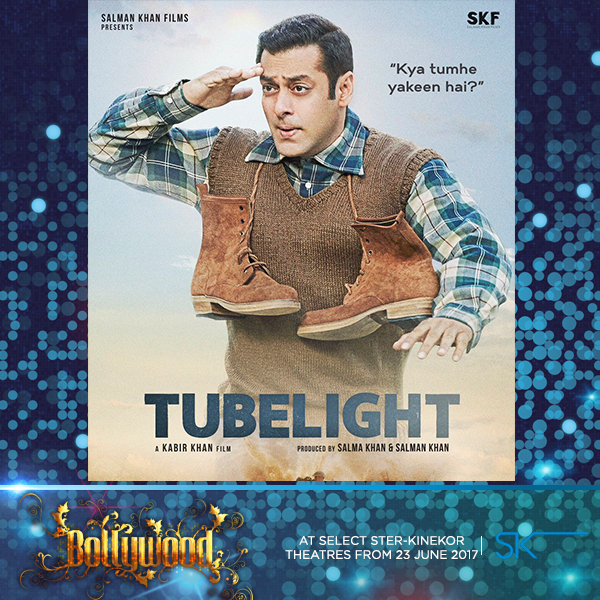 Produced by Salman Khan Films, Tubelight stars Bollywood muscle man Salman Khan and Sohail Khan. The film tells the story of brotherly love and the inseparable bond between Laxman (Salman Khan) and his younger brother Bharat (Sohail Khan). Directed by Kabir Khan, the story is set in a small town north of India. The brothers have no other family and are devoted to one another. However, when war breaks out, Bharat is drafted into the army, leaving a devastated Laxman behind. News from the border only worsens, as the tension continues to escalate. Seeing the carnage around him and worried for his brother, Laxman decides he must stop this conflict and bring his brother back home. Myriad Pictures, Das Films and Bowery Hills Entertainment’s Heartbeats is a movie for dance lovers and romantics. Heartbeats is not your regular dance movie, with beats, drums and fanfare. Written and directed by Duane Adler, the movie stars professional dancer Krystal Ellswort, rising South Indian star Amitash Pradhan, Paul McGillion and Daphne Zuniga, known for portraying Jo Reynolds on the wildly popular show Melrose Place, which ran from 1992 to 1996. Heartbeats, follows Los Angeles hip-hop dancer Kelli (Krystal Ellsworth), whose parents think she's in law school. However, they soon find out that she is pursuing another career — in dance. When Kelli travels to India with her family for a wedding, she finds a passion in a new dance style — and a romantic interest in an Indian wedding entertainer. Follow them on their journey as the beat brings them closer. Heartbeats releases on 30 June at Bay West, Tyger Valley, N1 City, Cavendish, Promenade Mall, Boardwalk, Musgrave, Shelly Beach, Gateway, Mall of Africa, Brooklyn, Forest Hill, Newtown Junction, The Zone, Sandton and Carnival City. For more information on Raabta, Tubelight and Heartbeats and to book tickets, visit www.sterkinekor.com or download the SK App on your smartphone. You can also book at the box office. For news and updates, go to Facebook: Ster-Kinekor Theatres | follow Ster-Kinekor on Twitter: @sterkinekor. For all queries, call Ticketline on 0861-Movies (668 437). 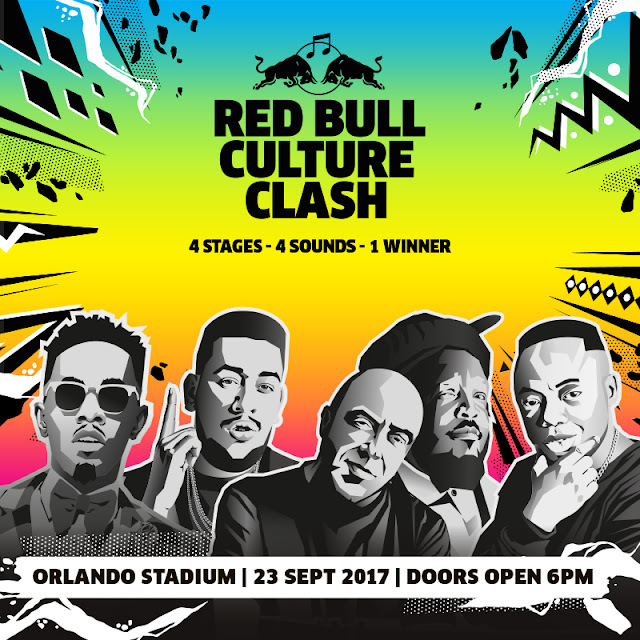 One of the world’s most innovative live music experiences – the Red Bull Culture Clash – will storm its way onto the Orlando Stadium stage on 23 September 2017. A sound system battle of epic proportions will unfold as four crews, each fronted by headline artists including AKA, DJ Tira, Patoranking and Admiral and Jahseed, will represent four of South Africa’s biggest sounds – hip hop, house, afro-beats and reggae. The four competing sound systems will compete back-to-back over a series of rounds – all in a bid to get the biggest reaction from the crowd and be crowned as the 2017 Red Bull Culture Clash winners. 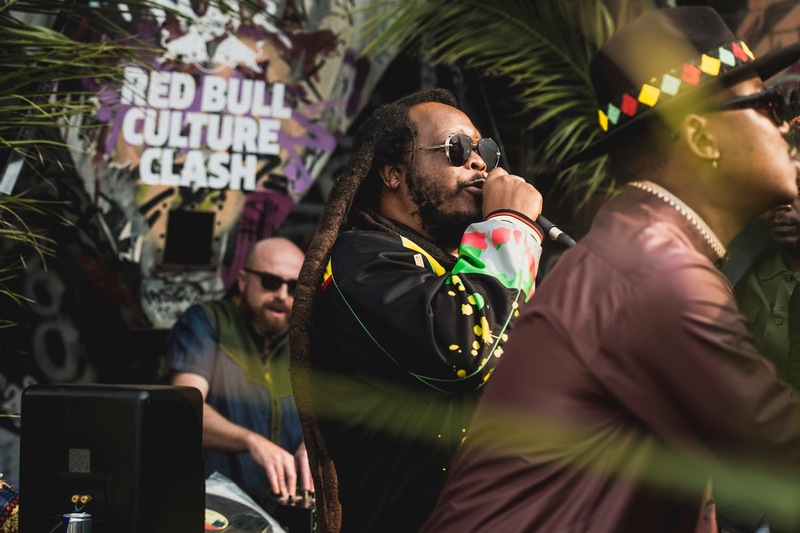 The Red Bull Music Academy, Red Bull’s longest-standing music programme, now in its 19th year, introduced the Culture Clash concept in the UK in 2010, and it has since made its way around the world, including events in New York, Lisbon and Paris. Red Bull Culture Clash itself is based on the classic Jamaican sound system culture, but with a twist. It’s defined by the use of cutting-edge lyrics, fierce competition and ridiculously loud sound systems. An essential feature of every clash is the ‘surprise factor’ and South African fans can expect some epic surprises on the night. These include exclusive and custom dubplate specials made up of unique songs recorded by a crew that only they can play. Crews are encouraged to introduce special guests, including a host of artists, on the night as part of their arsenal of musical weaponry they bring to the battle. More information to follow on redbull.co.za detailing the battle rules, full crew and event details as well as exclusive artist interviews. Follow Red Bull Culture Clash on Twitter @RedBullZA, Facebook @redbull, Instagram @redbullza and YouTube to stay ahead of the latest news and win exclusive Red Bull Culture Clash prizes. Join the conversation using #RedBullCultureClash. Be part of the action by getting your tickets for the Red Bull Culture Clash 2017 event from Computicket. May is the time when a lot of products actually comes in the market and there is a sudden flood of review posts rising up across the internet across all social media channels. Last year, May 2016, I also welcomed my parents in the country and they really enjoyed their stay in Johannesburg. It was some great moments spent with them as I was meeting them after a very long time and we saw several new places in and around Johannesburg. 1. Product Review - Huawei P8 @HuaweiZA #IgniteP8 - http://www.thelifesway.com/2016/05/product-review-huawei-p8-huaweiza.html - The packaging of this smartphones is still the best I have ever seen and after this one they started doing Leica dual lenses in their cameras and I didn't got the chance to review any of the Leica capable units. Within a year or so they have launched the P10 so how can think how fast Huawei is outgrowing the market in terms of it's market share. Whether I am part of the brand or not but I value the aggressiveness with which company is leaping forward. Kudos! 2. Product Review - LG G5 @LGMobileSA #LGG5PlayMore #Smartphone - http://www.thelifesway.com/2016/05/product-review-lg-g5-lgmobilesa.html - I was part of the launch and also got the handset to review during April - May and the camera on this smartphone was awesome. I did win some Mall of Africa contests using LG G5 camera and uploaded a lot of photographs of the mall on my Instagram channel. This year, LG didn't invited me to the launch of LG G6 and today only I saw they have blocked me on their twitter channel. I wish they could have told me to unfollow or stop tweeting about their products etc and I would have simply obliged. Anyways, their LG G5 was awesome phone. 3. Product Review - Acer C205 LED #Projector @AcerAfrica #TheLifesWay - http://www.thelifesway.com/2016/05/product-review-acer-c205-led-projector.html - This is something I would love to own as I immediately fell in love with this pocket but capable LED projector from the house of Acer Africa. I have never seen such cute projector and loved watching some movies with my family using this Acer C205. I am waiting for the price to fall on any online shopping websites for this product so that I can buy the same before my birthday. 4. Product Review - BeoPlay H2 #Headphones @BangOlufsenSA #BeoPlaySA #TheLifesWay - http://www.thelifesway.com/2016/05/product-review-beoplay-h2-headphones.html - I love headphones and the sound quality on Bang and Olufsen headsets is simply amazing. This comes in various colors and I really loved these red colored headsets. I have not bought any new headsets this year but ANC from Bang and Olufsen are the ones I would love to buy. 5. A Memoir - This Month Last Year - May 2015 www.thelifesway.com - http://www.thelifesway.com/2016/05/a-memoir-this-month-last-year-may-2015.html - It gives me immense pleasure to always remember how the past has served me to take me to the place where I am now. I had this small idea of starting my blog and now it has crossed 1.5 Million pageviews since Dec 2012. I have worked for so many brands, so many are still with me, so many have left but it's all part of the #SocialMedia game. With changing people in the PR companies, your work also gets migrated to the another agencies as people keep their friends and acquaintances close in this industry. Looking forward to work on doing a lot of posts this year and take the pageviews to 2 Million by the end of Dec 2017. Acer announced the launch of the #TakeaSpinwithAcer campaign in collaboration with Incredible Connection. The campaign will run throughout June and invite customers to take a risk-free trial with Acer’s top tier products for up to 30 days. Sounds too good to be true. It’s not. If at any point the customer is unhappy with the purchase they can opt for a full refund within 30 days. All Incredible Connection stores nationwide have introduced the Walk Out Working (WOW) offering. The techxpert station will help customers’ setup their new device for free in-store enabling them to walk out already working on their device. No hassle, no fuss, no risk. Belinda Marais, Acer Africa Marketing Manager explains that the #TakeaSpinwithAcer campaign displays the complete confidence Acer has in their products. “We have done some research and found that people often don’t purchase a new notebook due to the drawn out process of transferring data from one device to another, as well as the fear of buying a product they may not be able to return if it doesn’t suit their lifestyle”. Marais adds that customer satisfaction is important to Acer and we want to give the customer more than just a device but an experience. Acer announced the latest version of its popular Spin 1 convertible notebook. With a sleek all-metal chassis, the Windows 10 device is lightweight, portable and supports Windows Ink through an Acer Active Stylus1 for creative users on the go. Weighing in at just 1.25 kg (2.76 lbs), the 14 mm-thin chassis sports the latest Intel® Pentium® or Intel® Celeron® processors, 4 GB DDR3L memory as well as a choice of 32 / 64 / 128 GB eMMC storage. Its crisp 11.6-inch Full HD (1920x1080) touch-enabled screen with IPS technology displays vibrant colors at 178-degree viewing angles. Eight hours of battery life allows users to work, play, share, and draw all day with four versatile modes (laptop, display, tablet and tent). The Spin 1 combines superb hardware with innovative features to make the user experience really pop. On all models the Precision Touchpad, which supports Windows 10 gestures, allows users to work faster and smoother due to accurate tracking of their fingertips and movements. To help with more complex projects, the Spin 1 is fully ready to work with the Acer Active Stylus1 accessory which enables precise and direct on-screen input, providing a natural pen-on-paper experience. Users can quickly turn thoughts into action, capture ideas swiftly and naturally with Windows Ink. With fast and reliable wireless connectivity through 802.11ac 2x2 technology, the Spin 1 is capable of providing up to three times faster downloads compared to traditional 802.11n 2x2 devices. The device also features Acer BluelightShield which may help to reduce eye strain from prolonged screen viewing. Speakers with Acer TrueHarmony™ technology are located on both sides of the device. Audio channels automatically reverse to ensure optimal sound quality in any mode, and are paired with a HD webcam for video chats. Additional connectivity options include Bluetooth 4.0, one USB 3.1 port, one USB 2.0 port, one HDMI port and one microSD (SDXC) card slot. Smartphones have changed the lives of South African consumers and enabled them to be more connected than ever. Mobile devices are changing the way adverts are viewed, the audiences that are targeted and even how the media and publishing industry promotes the content. The 2017 South Africa Mobile Report is based on a survey of nearly 5000 mobile internet users across the country. One insight in the smartphones stood head and shoulders above the rest: when it comes to the market’s favourite brand, Samsung is four times more popular with consumers than the closest competitor. “Clearly, people recognise Samsung as a leader in the market and use our devices because they most closely match their needs as consumers. 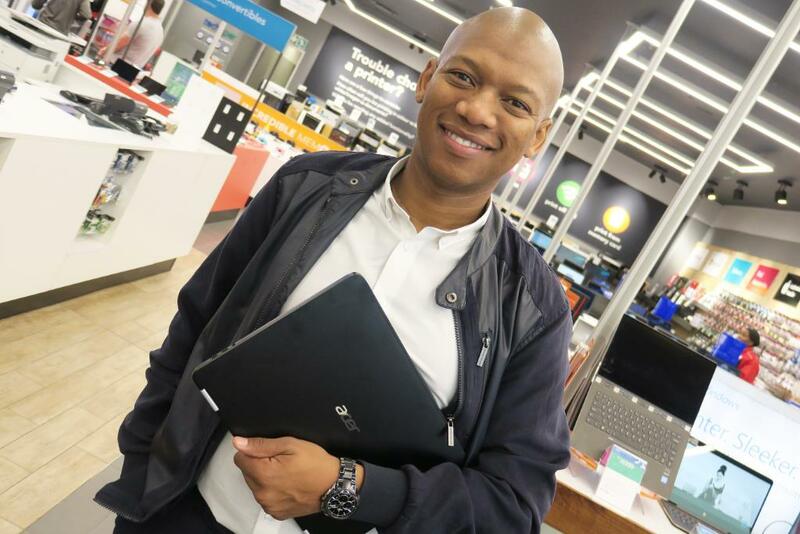 Samsung has always focused on innovation and as such the phone display and user interface are optimised to make browsing the internet easy as possible,” says Craige Fleischer, Director Integrated Mobility at Samsung South Africa. The importance of mobile connectivity to consumers is highlighted by the fact that some 78% of those surveyed indicated that the last time they accessed the Internet via their phone was just the day before. In addition, 35% reach for their cell phone to browse the internet first thing in the morning and a further 36% browse on their phone while also watching TV. Some 13% even admitted to connecting while in the bathroom. “The research shows that mobile has well and truly become a daily part of our lives. We rely on them more than we realise. Businesses marketing to their consumers need to keep this in mind when developing their strategies.” says Greg Mason, Regional Lead at Effective Measure Sub Saharan Africa. One of the most interesting statistics was the increasing number of South Africans who are happy using their phone to purchase items. Everything from airtime (47%) to apps (25%), books (11%) and concert or event tickets (10%) has been purchased by users in the past year, with a total of two thirds of consumers admitting to having purchased something using their phone. “The lives of South African consumers are clearly changing as they become more connected than ever. Recognising this, Samsung continues to innovate and deliver better and more sophisticated devices to its users, to enable them to access and enjoy the Internet in new and exciting ways,” concludes Fleischer. Join The Oyster Box in the Palm Court from 1st to 31st July (18h00-21h30), for Christmas in July, for a pop-up dining experience featuring classic American dishes. Enjoy a Bulleit Bourbon cocktail on arrival, followed by a set starter and dessert and choice main course. Price is R390 per person. Tip your race hat to Lady Luck and stop by the lobby on your way out to the big race for a pre-Durban July tipple. Our Gin Pop-up is complimentary. Enjoy The Oyster Box's Indian Ocean views while tucking into a succulent Sunday Roast Sharing Platter with all the trimmings. Served on the Ocean Terrace every Sunday for dinner or lunch in July (lamb), August (chicken) and September (beef). Price is R420 per platter for two people. Join them on the 8th July for an educational and insightful evening on the art of drinking whiskey with our Glenmorangie Dinner. This Scottish whiskey tasting journey encompasses a three-course menu paired with single malt Whiskies in the Colony Room from 19h00-23h00. Price is R650 per person. On 28th August from 18h30-22h30, hone those cooking skills or learn something new with our popular Asian Master Class. A fabulous evening of cooking, curries, sauces, noodle dishes and stir fries await. All things Asian, this evening includes a three-course dinner showcasing some of the dishes from the class. Price is R850 per person. Back by popular demand, we will be hosting a monthly Dinner Dance in the famous Grill Room on the 29th July, 26th August and 30th September starting from 18h30.. Enjoy Grill Room favourites and dance the night away, with music by Wallace Nock. Price is R590 per person for three-course dinner. Arriba!! August is party time with our Mexican Fiesta from 18h30-21h30 each evening. Gather your amigos and make your way to the Palm Court for a pop-up Mexican dining experience to remember. Enjoy an arrival cocktail followed by a set starter, choice main course and set dessert. Price is R390 per person. Join The Oyster Box for Cognac in the Colony Room on the 5th August! This insightful evening will take you on a French journey discovering the nuances of Hennessy, the world’s most popular Cognac. The Hennessy Pairing Dinner includes a three-course menu and an informative talk on the world’s largest Cognac producer. Price is R650 per person. Celebrate Women’s Day on the 9th August with our Bubbles and Brie cheese-themed high tea buffet from14h30-17h00, along with our most famous sweet treats. Paired with a couple of glasses of sparkling wine, this Women’s Day at The Oyster Box will be a lovely afternoon treat for the ladies. Price is R450 per person. ‘Put (a) Spring in your step’ on the 1st September with our Decleor Spring Brunch (10h00-13h00). All our glamourous guests will take away a goodie bag, with chances to win amazing prizes, spa vouchers and two Decleor hampers. 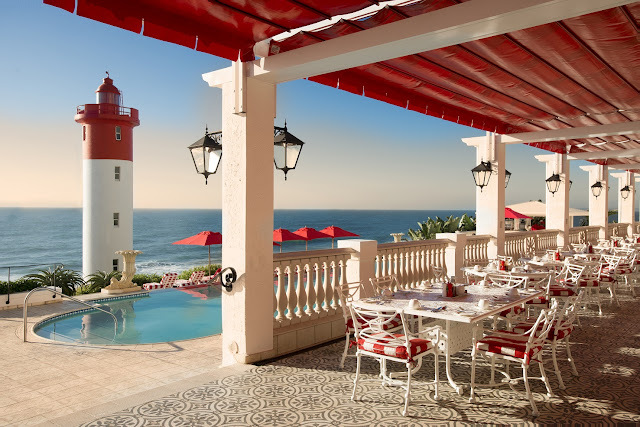 Don your best Spring hat and you could win yourself a luxurious overnight stay at The Oyster Box. Don’t miss it!! Price is R490 per person. Tapas, tortillas, gazpacho and empanadas! Brace yourself for the Spanish Inquisition and pop in for a pop-up dining experience with a welcome cocktail followed by authentic Spanish-style food. Taking place each evening in September from 18h00-21h30 in the Palm Court, price is R390 per person. Taste a little bit of history this Heritage Day with our Heritage Day High Tea. On Sunday 24th and Monday 25th September, our nostalgic South African-inspired journey into the past is a ‘sweet treat’ with syrupy koeksisters, creamy melktert and rich malva pudding are all on the menu, while a savoury balance of imfino, putu bites and ujeqe hit the spot. Price is R450 per person and High Tea runs from 14h30-17h00. 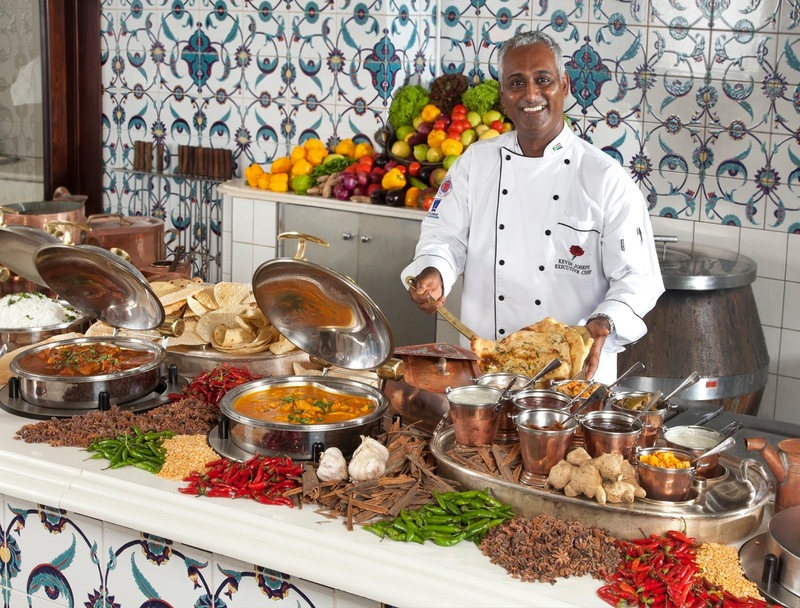 The famous Curry Masterclass, taking place on the 29th September from 18h00-22h00, puts participants through their paces on how to use traditional and modern Indian cooking methods to make a range of samoosa’s, curries, sambals and accompaniments. A three-course dinner, showcasing some of the dishes explored in the class, finishes the evening perfectly. Price is R850 per person. The hottest spot in town, The Oyster Box offers live entertainment every day of the week. The Lighthouse Bar is open daily for cocktails and snacks, with live music on Thursday and Friday evenings from18h30 - 21h30. Sit back and enjoy live music each evening (18h30 - 21h30) from Monday to Friday, in The Oyster Bar. On The Ocean Terrace, popular Wallace Nock does the honours on Saturdays from 12h00 - 15h00 and new arrival, the velvet-voiced Eric Canham, from 12h00 -15h00 on Sundays. An a la carte menu as well as the popular Curry Buffet is served in this casual venue and it’s the perfect spot for breakfast and sundowners. 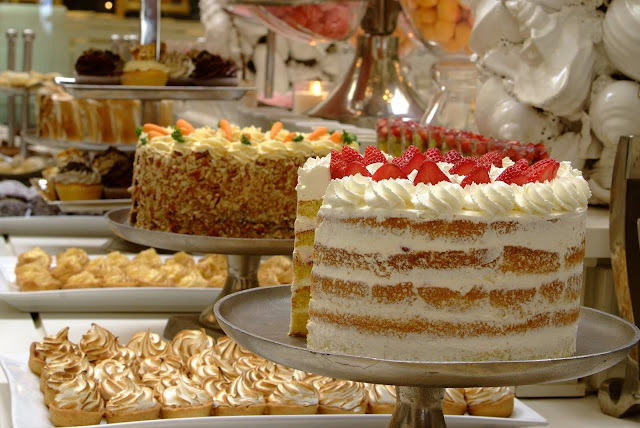 Our legendary tea table is laden with sumptuous treats, from freshly baked scones, pastries and quiches, to exotic cakes, finger sandwiches and savories. Inspired by the hotel’s colonial atmosphere and the accompaniment of our pianist, The Palm Court provides the perfect backdrop for any occasion. Booking is essential. If you’re a foodie or looking for something extraordinary for a special event or occasion, join Executive Chef Kevin Joseph and members of his culinary team at The Chef’s Table in The Oyster Box Kitchen. Available for bookings from Sunday to Thursday, savour one of the delicious 5-course menus for between six and ten people. With its long marble bar a focal point, the Oyster, Salmon & Sushi Bar is a popular meeting place with patrons for live music and cocktails. From Monday to Friday 12noon to 20h00, diners can choose from a selection of Sushi, fresh Oysters, home-cured Salmon, inspired Asian Tacos, Asian Prawn Cocktail and delicious Prawns and Crayfish. Items from the a la carte Seafood Menu may be ordered individually…. accompanied by a glass of delicious ‘Bubbly or one of our signature cocktails. The gift vouchers are perfect for all occasions. Choose from a tempting selection of experiences including food and wine discovery evenings, traditional afternoon teas, rejuvenating spa treatments or a monetary voucher to spend while visiting the hotel. Purchase online or at the hotel, vouchers may be emailed or sent beautifully presented to the recipient by post.